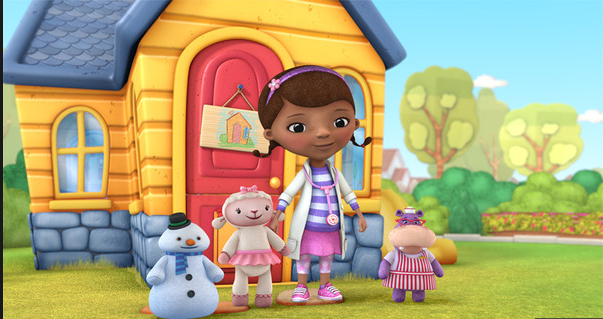 7 Kids and Us: Doc McStuffins Cuddle Me Lambie on DVD Feb 3rd 2015! 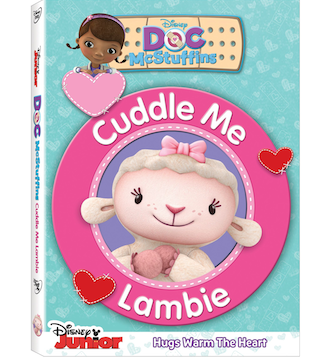 Doc McStuffins Cuddle Me Lambie on DVD Feb 3rd 2015! The girls really love Doc McStuffins....I think all toddler girls love her! Mine are super excited to watch the new Cuddle Me Lambie DVD, available on February 3rd. Join Doc and the whole gang as they laugh, play and have a ball fixing boo-boos and discovering great ways to stay happy and healthy. Celebrate the power of true friendship as new, sparkly heart toy Val shows Lambie there’s plenty of love to go around. Meet Donny and Alma’s monster creation Charlie – who turns out to be very sweet and not scary after all. Then, see how Lambie gets out of a super-sticky jam! Bursting with five song-filled episodes and cuddles galore, this “hug-stravaganza” is magical fun your little one will adore! Big Hero 6 Comes to Blu Ray February 24th! Clarence: Mystery Pinata on DVD 2/10/15! Pack Up Some Fun with Mini Babybel! Valentine's Day Gifts for Everyone!